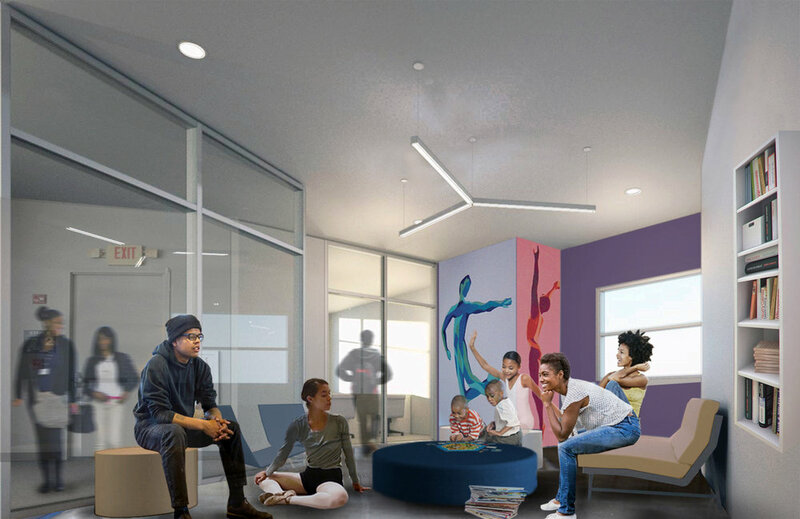 The renovation of the Dance Institute of Washington will enable DIW to expand and enhance its services and programming that provides DC youth the opportunity to develop artistically, socially, emotionally, and intellectually through dance. DIW operates a studio school, outreach, youth ensemble, and professional company, granting youth from diverse backgrounds the chance to experience the performing arts and develop important life skills. The renovation will create a lounge and study center for the students, revamped offices for staff, new kitchen, renovated lobby, and a dance store/gift shop. 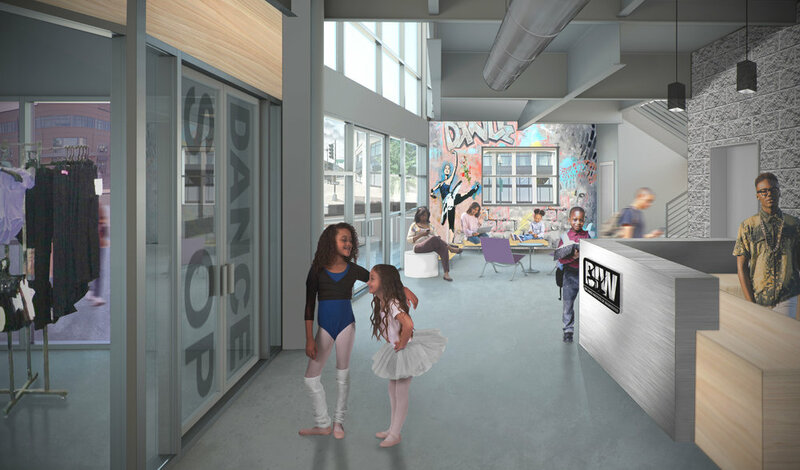 The heart of the proposed renovation is the new dance studio and dance lab/theater. 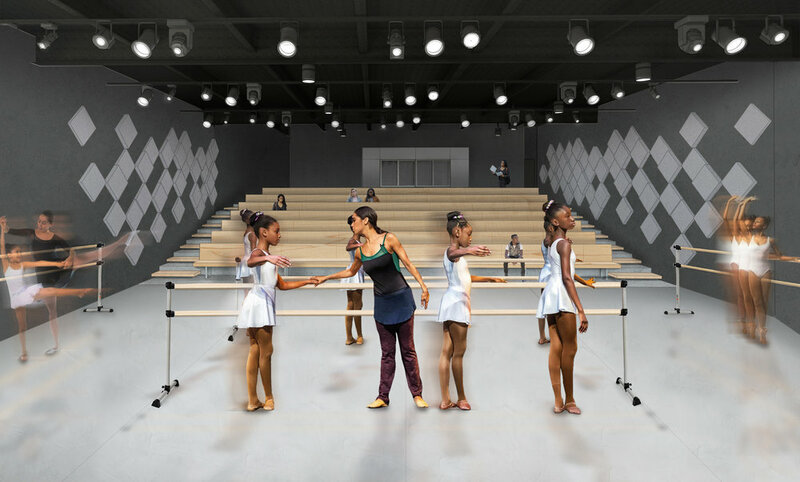 The double-height volume of the dance lab/theater will create an airy, spacious dance space for instruction and rehearsals, as well as providing DIW a 116 seat theater for performance.